The suspect was transported to the hospital with serious injuries and is still being treated, police said. 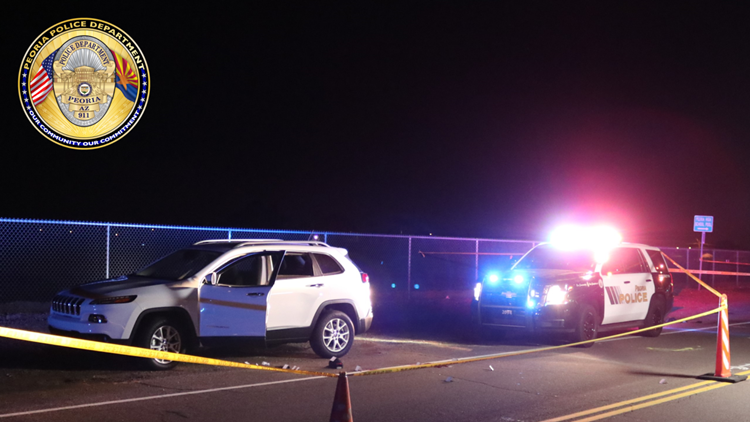 PEORIA, Ariz. - No officers were injured after a shooting at a traffic stop in Peoria Wednesday night, police say. According to police, after being pulled over for a traffic violation, a 23-year-old suspect reached for a gun that was in his lap as a sergeant approached the vehicle. The sergeant shot at least one round at the suspect, hitting him in the face. More officers and paramedics arrived on scene. The suspect was transported to the hospital with serious injuries and is still being treated. Peoria police say the sergeant was wearing their body camera and it was activated.